Did you know that you can now support us just by shopping online? Thousands of stores will donate to your favourite cause a percentage of every pound you spend when you shop through www.giveasyoulive.com. The best is that it doesn’t cost you more. You just need to start your shopping via the Give as you Live (GayL) website. 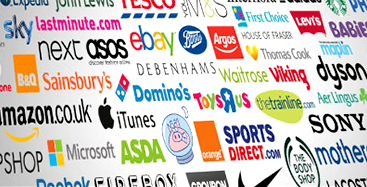 You can shop for millions of products at over 3000 top online retailers including Amazon, Argos, Boots, John Lewis, eBay, Expedia, Tesco, thetrainline.com, Viking and more. It’s very easy to use Give as you Live, but if you have any problem the following steps will help you to go through the process. Signup to Give as you Live on your computer, tablet or via the mobile app (It’s fast, simple and 100% secure), by clicking here. You now need to select your cause. We hope you will consider choosing Transport for All. When it’s done they will then send you and email. On this email, you need to click on ‘Confirm account’ to complete your sign up. When it’s done you’re ready to raise money just by shopping online. Select the shop you want to make a purchase in. You can shop for millions of products at over 3000 top online retailers including Amazon, Argos, Boots, John Lewis, eBay, Expedia, Tesco, thetrainline.com, Viking and more. You will receive a Thank you email from Give as you Live on behalf of Transport for All on which you will see the amount you raised thanks to your purchase and without costing you anything! All the Transport for All team would like to thank you in advance for your support. The money raised will help us to ensure the future of our actions and maintain our helpline available to everyone.